Her body’s all rigged up now after a bit of tweaking to the mesh, I needed to do a bit or work with her arms and shoulders by adding in a few more edge loops, just to get a more even bend. 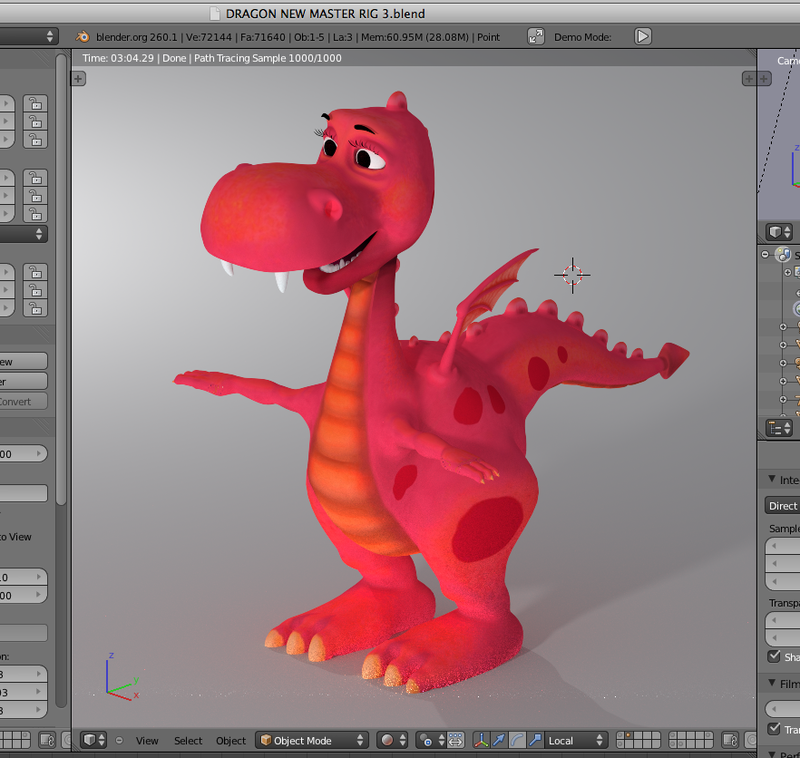 I used Nathan Vegdahl’s Rigify to rig her body, I hadn’t used it before but it saves SOO much time than doing it yourself. 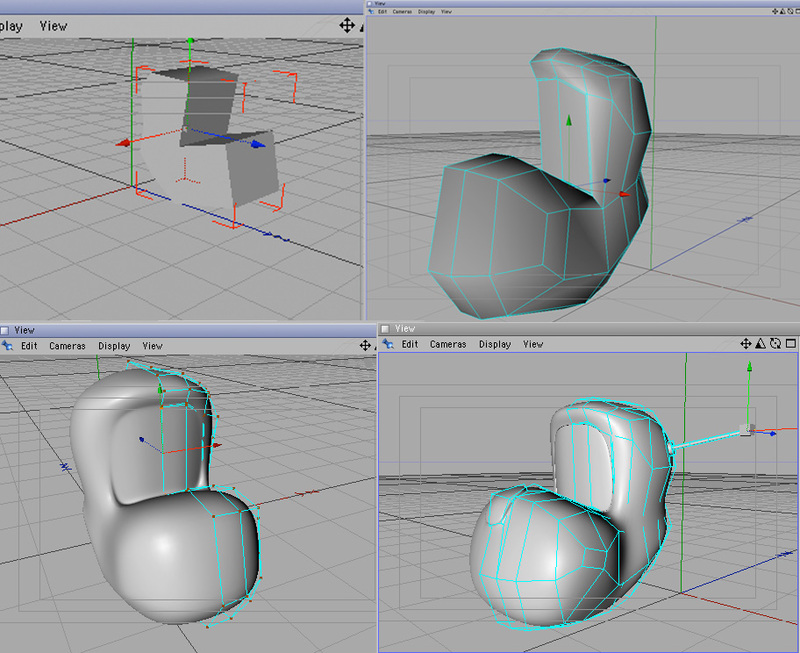 Now I’ve started adding the shape keys for her face with some control bones. 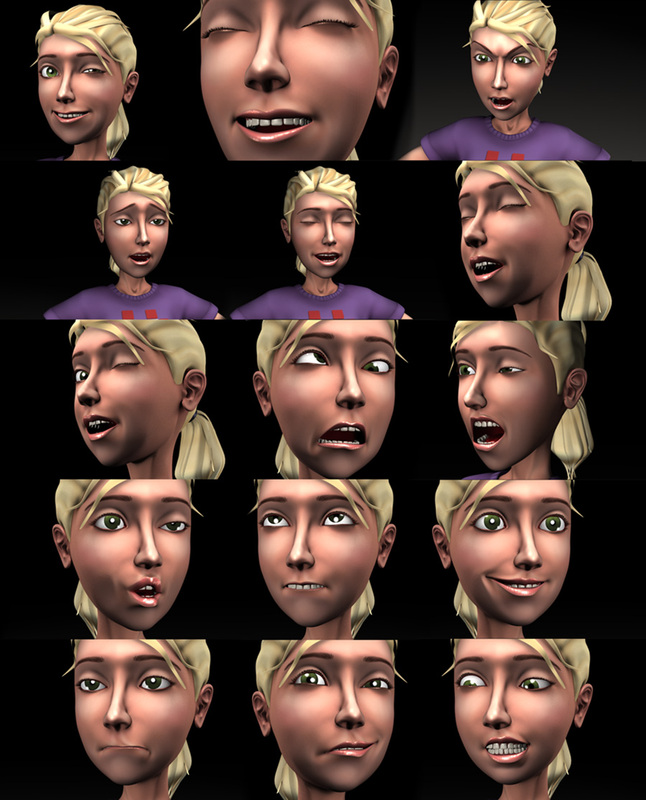 Most of her expressions will come from the shape keys, but I’ve also added an extra layer of weighted bones in case any tweaking needs done to things like her lips. 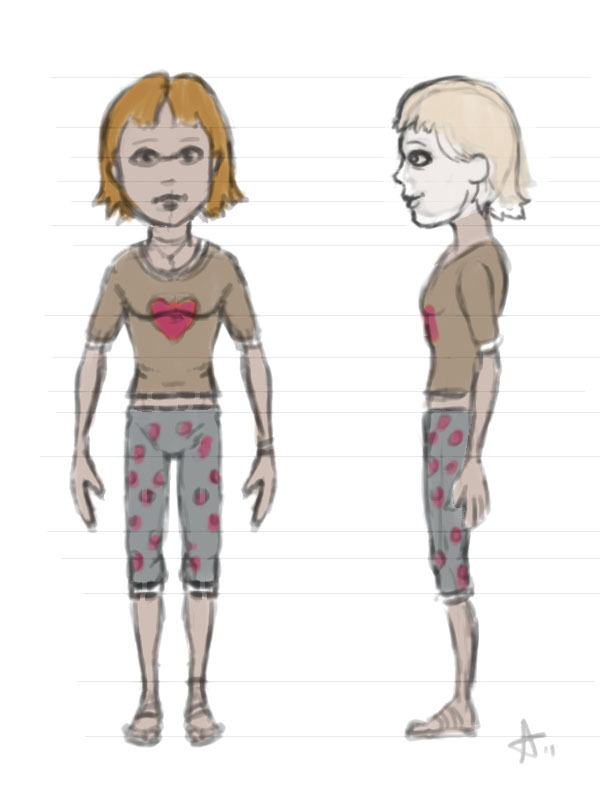 She won’t be talking in the short, but I’m adding some mouth shapes in there in case I want to use her for other things in the future. I haven’t done any animation with her yet, but I’ll hopefully get a chance to get some done soon. Here’s a commercial I produced last year for a local DIY event, based on a concept and storyboard by Stephen McCreight over at GraphicsGarage. The tape measure was built and rendered in Blender 2.5. The logo was comped and the commercial was finished in After Effects. 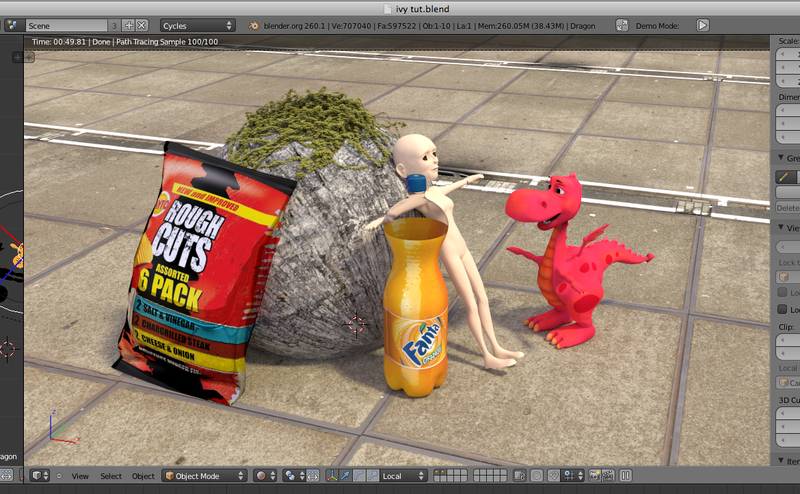 I still know After Effects too well to be finishing commercials in Blender. I’ll maybe get to the stage where I’ll become proficient enough with the video sequencer and nodes, but in the meantime, I’ve been using After Effects for about 15 years now so I’m way more confident with it. It was quite tricky to get the animated shape of the tape measure. From what I can remember I modelled a straight length of the tape then used a curve modifier on it. I then used the Rotobezier plugin to animate the curve into the shapes of the house and the pound signs, while the mesh moved along the length of the curve. It was pretty fiddly in places, the transition of the curve from shape to shape almost had to be keyframed every frame to make it move the way I wanted it to. But once I got the hang of the Rotobezier it got a little easier. Here’s another motion track using Blender 2.62. I thought I would try something a bit more static to test a better example of how well the object is moving with the camera. Another little lesson learnt with this one, I managed to figure out how to pull out a reflection pass to add to the comp. These tracking experiments are as much an experiment in use of Blenders’ node system as they are in testing out the tracking. Of course, I couldn’t just have a completely static object, so I had to throw a little bit of character animation in there as well! 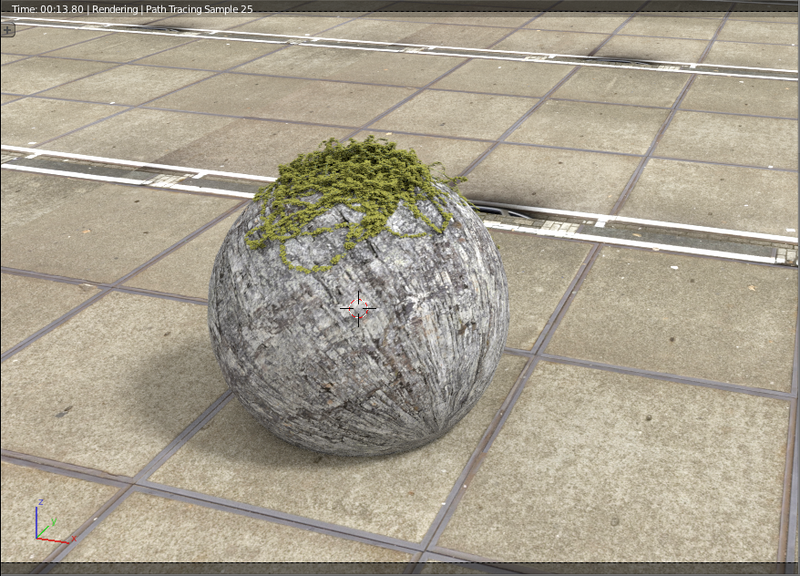 I’ve been experimenting with the Cloth Modifier and the Wind Force Field this week. A client wanted a spring season feel to their logo, so I decided to play with part of their logo which is in the shape of a flower and try to blow it across the screen with a few others before it settles in place. I found the perfect tutorial on Vimeo by the ever faithful CG Cookie, so thanks to them for helping out once again. It took a while to play around with the force fields and get the results I wanted. The flower was set up by creating a plane and subdividing it a few times, then applying the flower as a png texture with an alpha channel. The flower was duplicated, repositioned and scaled a few times. One big thing I’ve learned is that both the cloth modifier and the force field seem to rely a lot on the global scale of the scene, in the same way that lights also seem to be related, so I had to adjust the cloth settings on the smaller flowers differently from the larger ones. 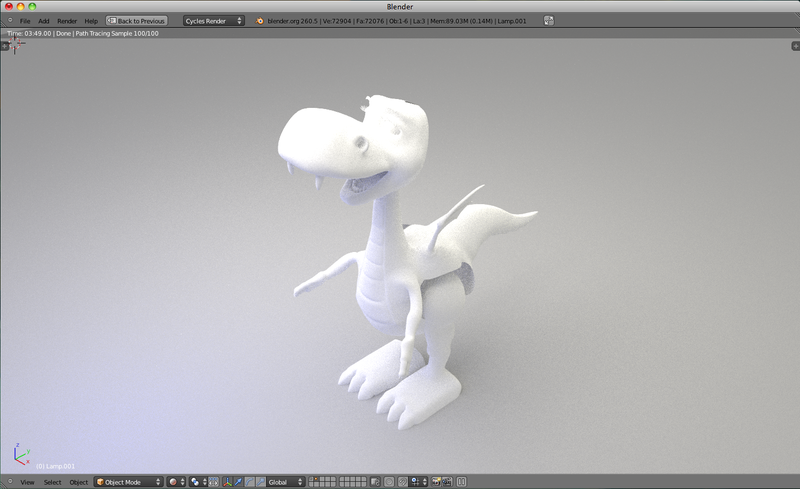 It’s something I’m going to have to play around with and try to get used to building models the correct size. A simple plane was set up as a floor for collision and shadow catching. Here are a few of the experiments, and the final result. 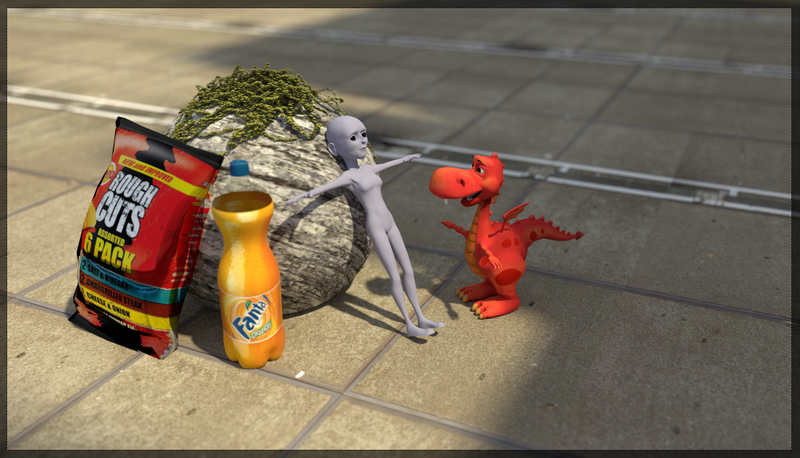 Here’s a scene I set up with a few objects I had lying around from various jobs. 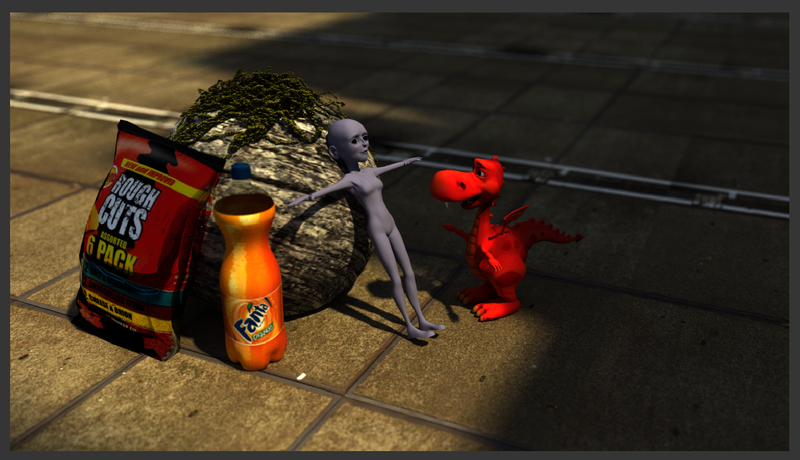 I just threw them into a scene adding a floor plane with a texture I downloaded from CGTextures.com. Again, it was pretty easy to set up, although I did get a couple of crashes along the way, but then this isn’t a stable trunk I’m using. The first image is a setup with just one sun lamp. The second I added some cubes to the right off camera to simulate some building shadows and added some depth of field, again surprisingly easy to set up. 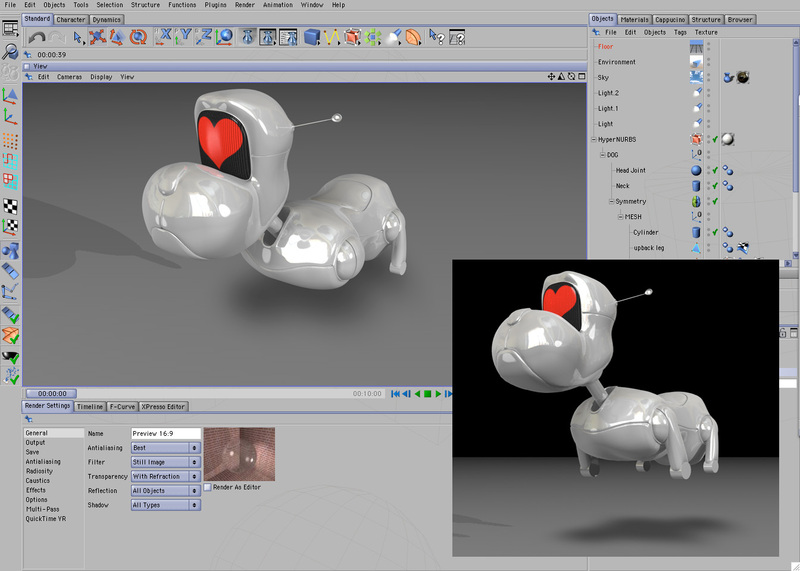 The first two images are the Cycles renders from the 3d views. 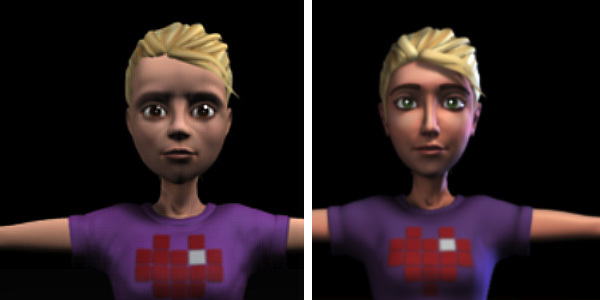 Where I hit a little trouble in the third image was with a final render, it seems a lot darker than the preview render. I’m not sure if something was set that I don’t know about, the only thing I thought it might be was the exposure button, however this didn’t seem to fix the problem. I’ll have to investigate further. This is another work in progress of the star of the short film which I’m working on with Craig Smith, mentioned previously in the Apartment mockup post. Obviously he’s not textured yet, and the animation is pretty rough at the minute, I didn’t spend so much time on the running cycle since this was just a test to make sure the rig was working okay. 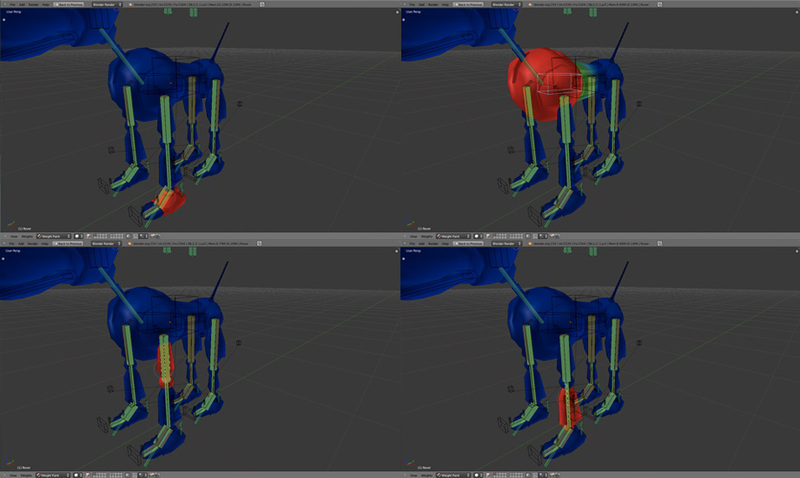 Although he’s a robot dog, I still think I need to use some artistic licence and loosen up his legs a bit, his movement doesn’t feel quite right yet. I also think his feet may need tweaking, they’re too long as they are. The rigging is all pretty simple, it’s mostly all ‘hard’ rigged, in other words there aren’t many soft areas in the vertex weights. 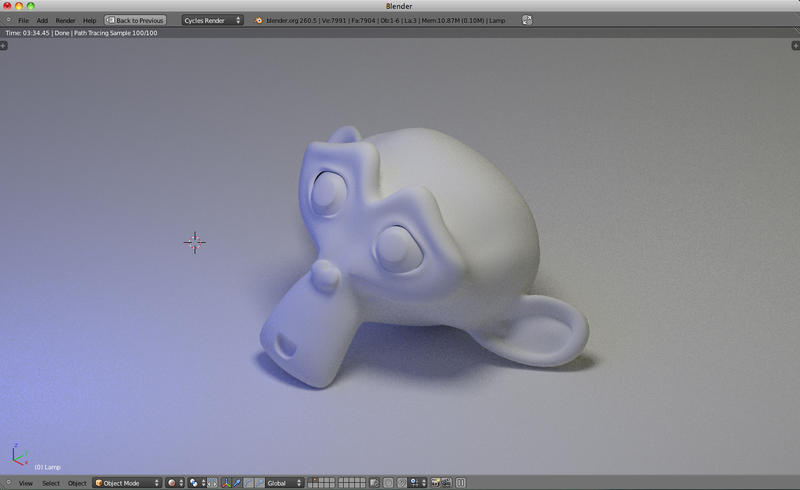 But now that I know Blender a lot better, I’ve a better feeling about getting further with the story. I’m still working on the animatic, so I’ll post that when I get the first draft done.